Little known - and seldom encountered outside its native Italy - the Mentor T.D. 55 lathe was built by a company of whom little trace appears to have survived - save that they might have been based in the area of Modena. From the lathe's design, layout and detailing it is likely to have been made during the 1950s into the 1960s - although no evidence can be found to back this up proposition. Not to be confused with "Mentor" versions of the Emco range - named Mentor as they were intended for educational and equipped with safety switchgear - the Italian lathe had a centre height of 80 mm and took 350 mm between centres. Like that used on the very similar but smaller Lorch LAS, the substantially built bed had V and flat ways, these stopping just in front of the headstock. The result was that, in order to bring the cutting tool right up to the spindle nose, the cross slide had to be positioned to the left of the carriage centre line. The lathe appears to have been sold complete on a stand made from tubular steel with a 500 x 1000 mm wooden top (possibly covered with something like linoleum) and three drawers on the right-hand side. 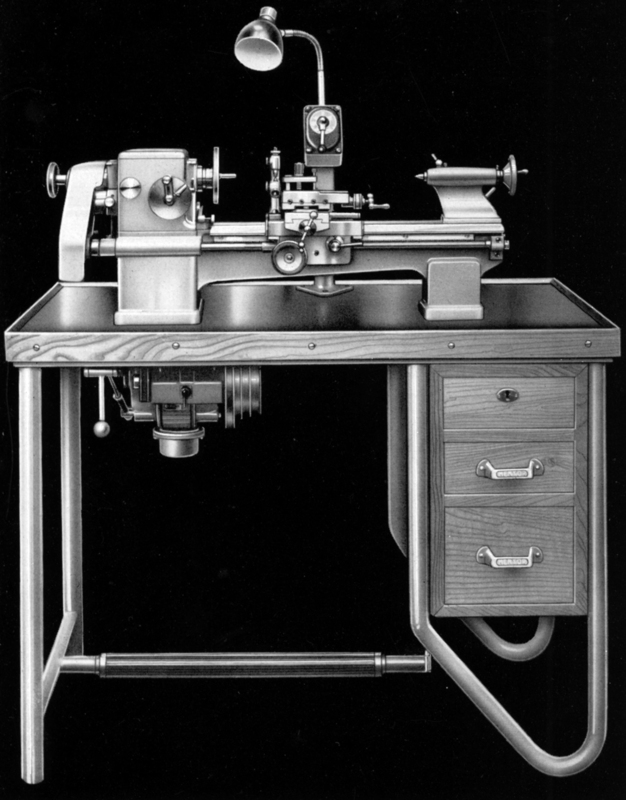 In general arrangement the stand was similar to that employed on pre-WW2 American Cataract lathes, though of cleaner design and looking more like those first offered for some Levin lathes of the 1950s. Fitted as part of the regular equipment was, slung beneath the stand, a 3-phase "Motor Marrelli" 0.5 h.p. motor, this being controlled by a switch carried on a post behind the bed that incorporated the base of a light unit. 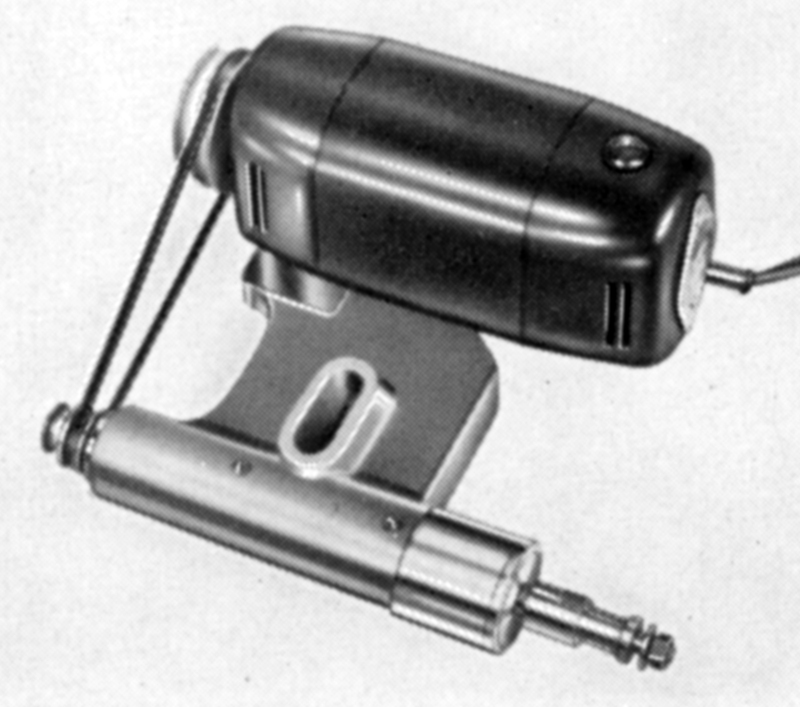 Combined with the lathe's headstock-mounted backgear, eight spindle speeds of 90, 135, 250, 360, 565, 840, 1520 and 2250 r.p.m. were provided - the lowest of which was, perhaps, just a tad too high for comfortable screwcutting. Bored through to clear 12.5 mm, the spindle took draw-tube retained 10 mm diameter collets, the largest of which had a through bore of 7 mm - although one with a partial bore, some 55 mm long, was able to take jobs up to 10 mm in diameter. Screwcutting was by a generously large set of twenty changewheels, the drive passing through a tumble-reverse mechanism and covered by a guard that lacked an inner plate - leaving the gear open to inquisitive fingers. 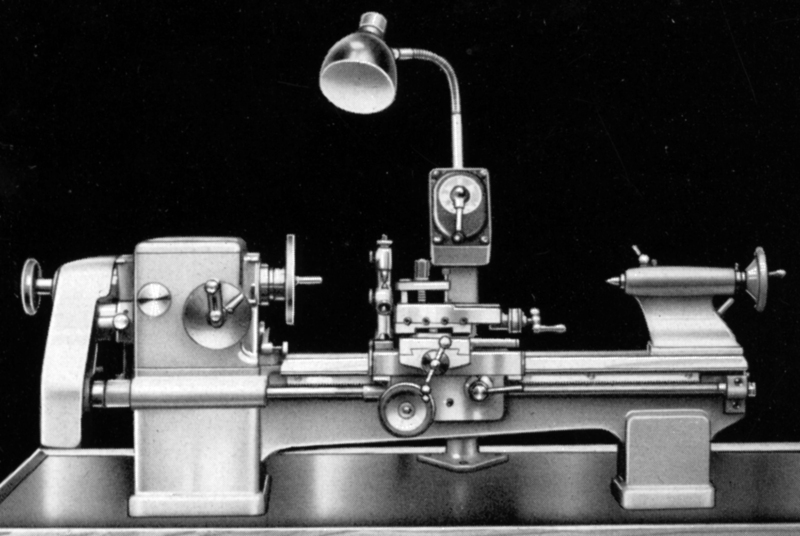 Sadly, the rest of the lathe's mechanical specification is unknown, although it is certain that supplied with every new machine were just fixed and travelling steadies, an oil gun and a screwcutting chart. However, available at extra cost was a headstock mounted. 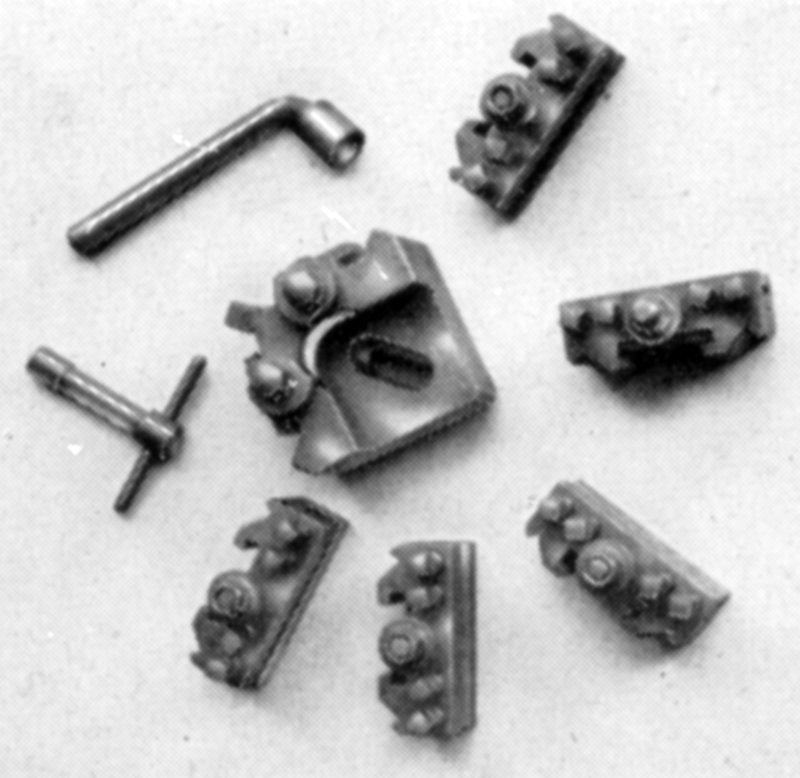 40 : 1 dividing attachment with three indexing plates; a 1/15th h.p. 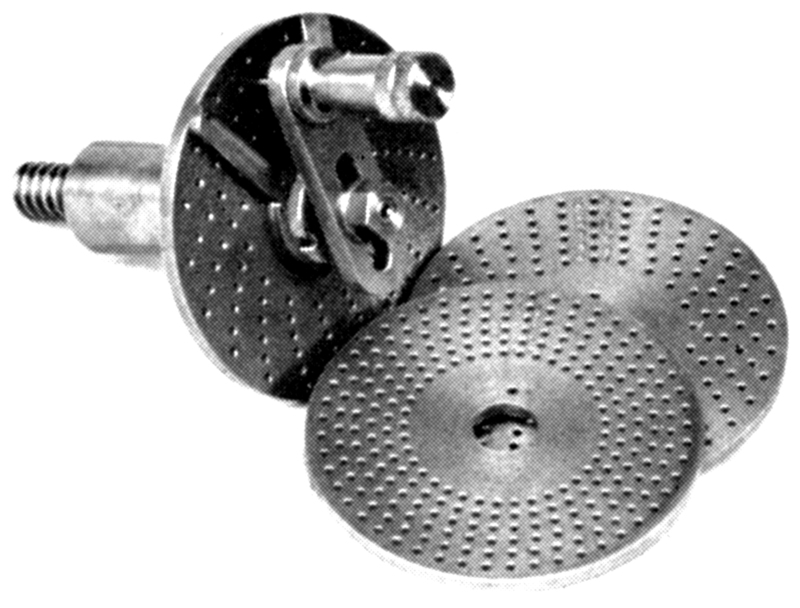 single-phase toolpost grinder; a self-contained milling attachment consisting of a vertical slide fitted with a 1/15th h.p. 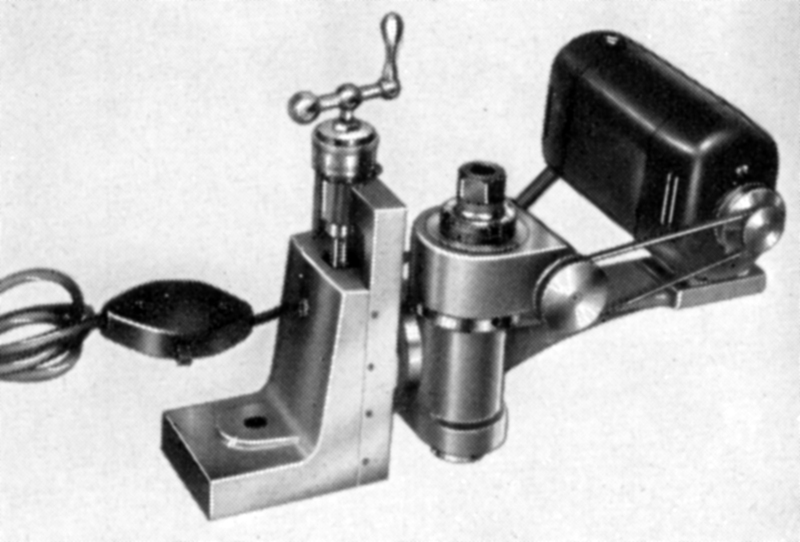 single-phase motor and a milling cutter arbor and a miniature quick-set toolpost the block of which was 50 mm square and supplied with four tool holders. Also listed was an 85 mm diameter 3-jaw chuck a set of four angle plates, ten collets, ten grinding tools for the toolpost grinder and a rotating tailstock centre with a set of small to large interchangeable cones. Occupying a space 1000 mm deep and 1200 mm wide, the Mentor T.D.55 weighed around 105 kg.